Tiger Woods has described his 15th major and fifth Augusta National Masters trophy as his biggest win ever. 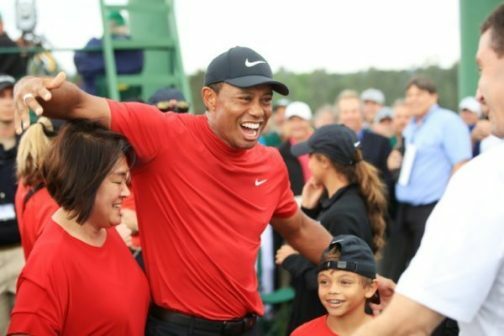 It was an epic comeback for the 43 year-old American, who was once bogged down by career-threatening injury, to win the 83rd Masters on Sunday, with an unprecedented back-nine rally. Ending an 11-year major drought, the 43-year-old American superstar — who underwent spinal fusion surgery in 2017 due to chronic back pain — seized his first major title since the 2008 US Open. Racing to finish before an oncoming thunderstorm, players created their own electric atmosphere, spectators roaring repeatedly for sensational shotmaking on one of golf’s iconic stages. Woods fired a final-round two-under par 70 to finish on 13-under 275 for a one-shot victory to capture a $2.07 million (1.82 million euros) top prize and the green jacket symbolizing Masters supremacy.